A small town in Sankt Veit an der Glan, as part of the Austrian state of Carinthia, Eberstein is the perfect combination of classic old-school Austrian ski resorts; combined with the small-scale lifestyle that is ideal for those who prefer to stay away from the larger crowds. With a modest population and slopes perfect for beginners, the Eberstein-Saualpe is suitable for families with younger children, or those skiing for the first time. Offering a shorter snow season and peace and quiet you won’t experience in larger-scale resorts, Eberstein is Austrian skiing with a difference. Avoiding the hustle and bustle and instead offer a cultural and enjoyable slow-paced experience, this ski resort may be small, but it’s certainly not lacking. Eberstein boasts a population of just under 1,300, making it on the small side for an Austrian town. Equipped with some stunning surroundings both on and off-season, there’s more to see and do in this small town than you might expect. With tourists still travelling to this beautiful location each year, there are plenty of things to do in Eberstein, and it’s by no means 'too quiet'. Featuring 2km of pistes best-suited to families or beginners, the Eberstein-Saualpe ski resort also has over 4km of cross-country skiing available to visitors, providing a far more organic and close-to-nature experience than a typical skiing site. 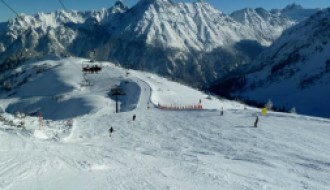 The elevation of the slopes are from 1650 m - 1780 m and one lift is available for quick travel to the top of the pistes. A typical ski season for Eberstein is between December-March, giving ample time for tourists to explore all that the town has to offer. With 30 sunny days on average each season, as well as 1-2cm of snowfall per day in the snow report for Eberstein, this resort provides the perfect environment for enjoying the snow, with the weather report for Eberstein often talking about great sunny spells. For an up-to-date snow and weather report, take a look at our Eberstein resort guide here. As well as being considered one of the most family-friendly resorts in the region, it’s also the cheapest; with a day pass costing on average €17. 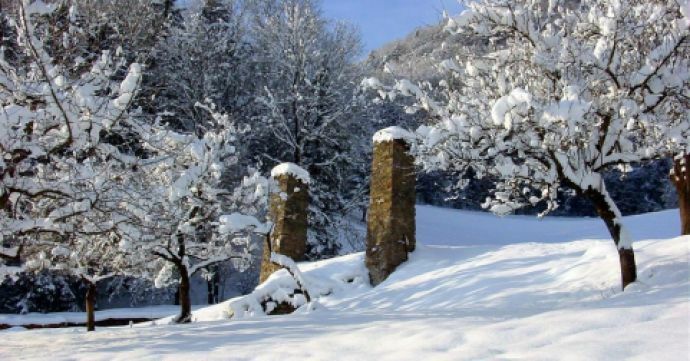 A beautiful destination, while many come to Eberstein for the snow, it’s also the perfect place to visit off-season, with some beautiful landscapes to explore. Hiking, rock-climbing and even mountain biking are well-suited to the areas around the town, and the relative isolation of this resort area makes it perfect for those who enjoy spending time with nature rather than as part of a busy and bustling ski community. 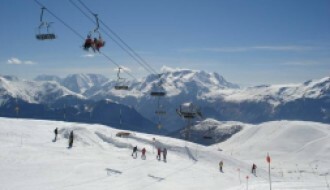 As a small-scale and family-friendly resort, Eberstein is ideally placed for holidays with younger children, or for those trying on skis for the first time. Much of Eberstein’s culture and appeal is in its beautiful natural surroundings, with the popular Lake Worthersee in nearby Klagenfurt a popular attraction, as well as the Triglav National Park over the border in Slovenia. Outside of the snowier months, Eberstein is still a charming town to visit, and its quiet lifestyle is ideal for those who prefer to take their holiday time slowly. Both local cuisine and entertainment are available in restaurants and bars, while there are natural links to other nearby towns for those who prefer to explore further afield. With a slower pace of life and culture of peace and calm, Eberstein may not be the most suitable destination for those who prefer fast-paced slopes, parties every night or on-site spa services; but for others, the lack of these added distractions can make for the perfect getaway. Retaining much of its old-school Austrian style, properties for sale in Eberstein tend to fall on the classic side. From wood-based cabins to traditional town properties, there is a range of different chalets and houses available to pick from for those who consider buying a property in Eberstein, many of whom are suitable for the family demographic that Eberstein most appeal to. 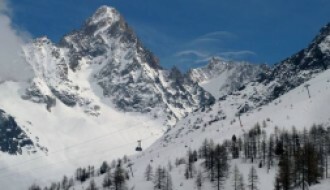 A more classic version of the modern ski resort, Eberstein features little in the way of current infrastructure, with a more retro t-bar lift utilised for access to the slopes. However, investment has been placed into the building of modern hotels and accommodations in the wider Sankt Veit an der Glan, offering benefit to the town and resort itself. The location of the resort is more suited to holidaymakers and individuals looking to get away from the busy lifestyle of larger resorts. The most practical way to reach Eberstein is by first flying to the Klagenfurt airport, which is just half an hour’s drive from the town. As a small-scale resort, some shuttles or coaches may be available during the busier months, while other seasons will require travel by bus, taxi or car. The route to Eberstein from the airport is roughly 20 miles in length, and hire cars are available from whichever airport you choose to land at. Due to the smaller scale of Eberstein, a using satnav is recommended to ensure you reach your destination correctly. A compact, attractive little resort set in the Austrian mountains, Eberstein is the perfect choice for those looking to enjoy the slopes away from the crowds. Packed with character and with many beautiful nature spots in the surrounding area, Eberstein is something a little different that’s just far off the beaten path enough to feel special.